I hate being cold, whether its on the bike or on the couch. Winter is coming, and with days already short, our efforts have been to acclimate to darker and colder outlook. 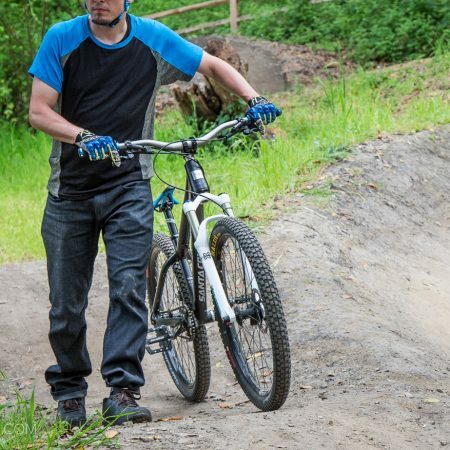 Lucky for me, reps for Pearl sent over the Summit AmFIB Pant, Pearl’s warmest MTB pant, with more ample time to prepare for the coming cold season. 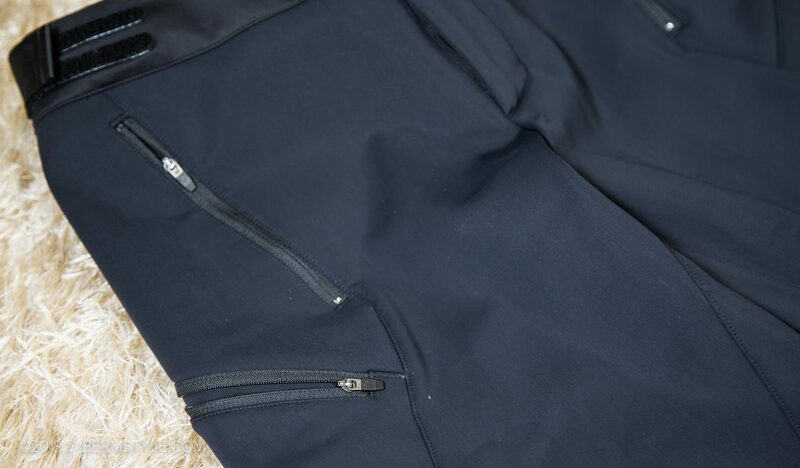 The AmFIB pant features softshell fabrics paired with thermal fabrics, for warmth, plus wind and water resistance. Designed for cold weather riding, they’re recommended for rides in temperatures 20º to 45º. The best part is they have pockets, secured with zippers. Thank gawd. I can’t stand wearing short and pants without pockets. Seriously, I don’t get why designers bother making stuff without pockets. My sample size is a medium and I’m psyched on the fit as they suit me well- especially compared to medium sizing in many other brands. 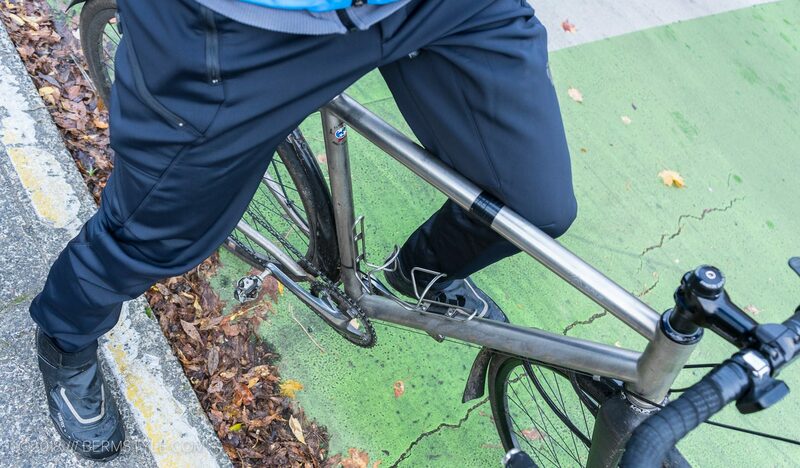 For reference, I generally wear a 32″ waist pant — though I often size down to a 30 depending on the brand— and prefer my pants fitted for riding bikes. 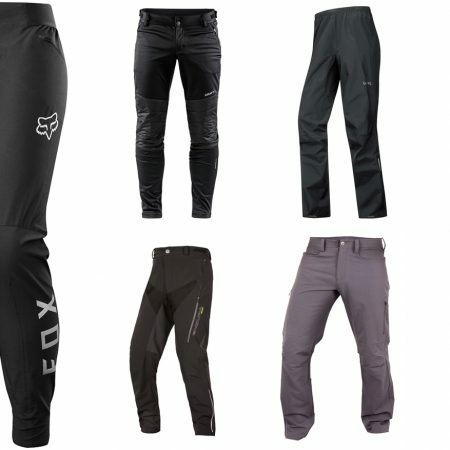 Riders that refer a more relaxed fit or plan to wear tights underneath for added warmed may want to try before they buy. The temperature dropped recently and I’ve been running these on my commute, and they’ve been amazing. Fortunately I’ve yet to put their water-shedding ability to the test, but living in Portland it’s just a matter of when. They’re definitely intended for colder temperatures, but since I find myself often getting cold, I’ll be testing them out in a wide range of conditions, on the road and on the trail. 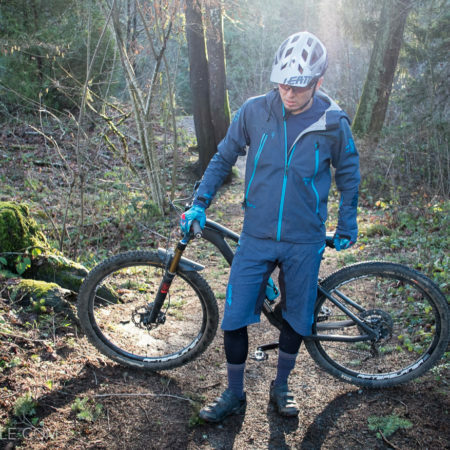 We do so love our matching kits, and the folks at Pearl were nice enough to accommodate me with a jacket to pair with the Summit Pants. That said, the MTB WRX Jacket isn’t actually a good pairing for the Summit AmFIB, as they’re intended for a higher temperature range. 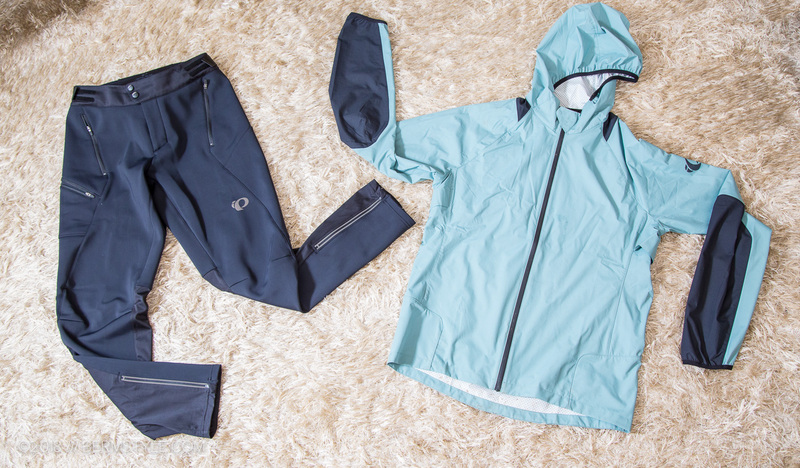 They’re closer to a water resistant wind breaker, but a bit more substantial, while still being lightweight and packable. I’d consider the WRX jacket a 3 season piece, paired better with the packable WxB waterproof overshort for days when it looks like it could rain. 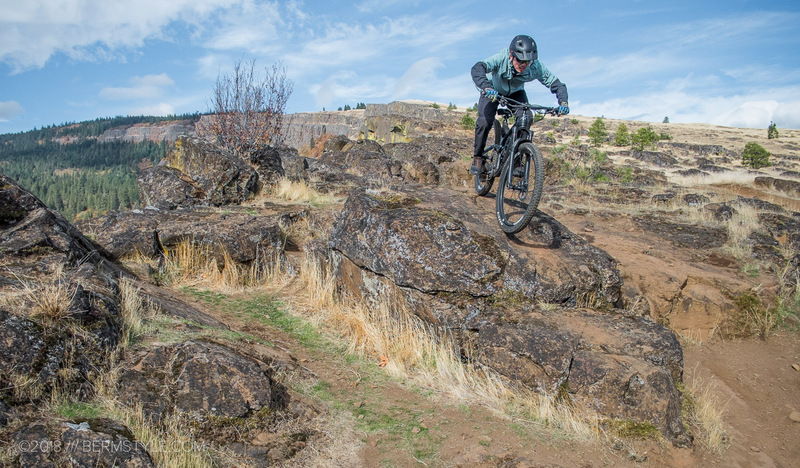 One of our go-to rides – Sandy Ridge Trail – often starts out cold only to become warm and humid. 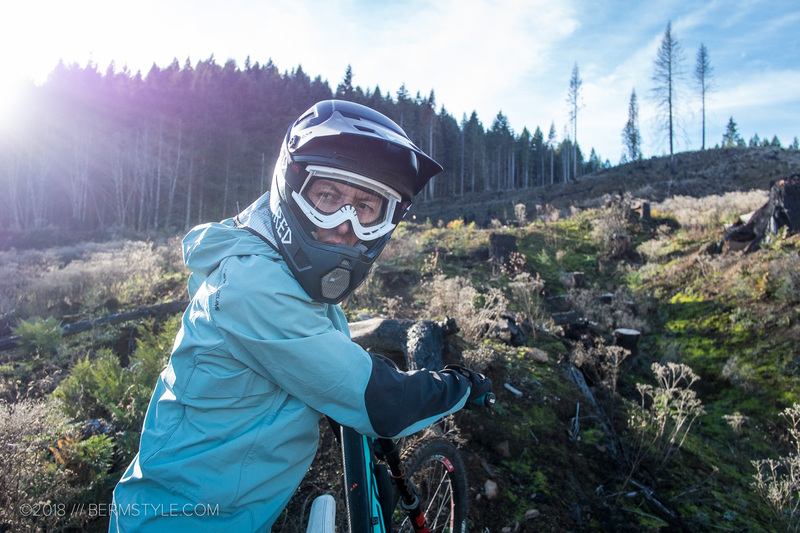 It can be tough finding that ideal mix of clothing, and layers are quickly shed during the climb, only to be pulled back on before the descents. 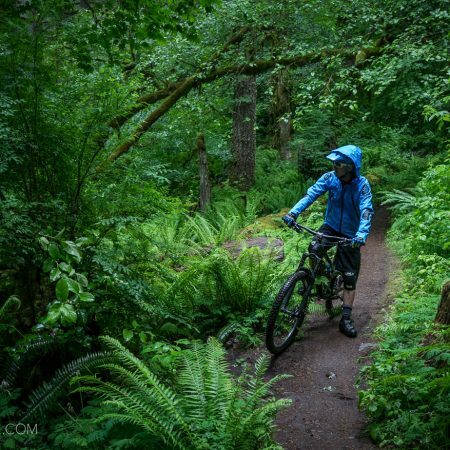 Most rain jackets tend to be super overkill unless it’s actually coming down. This in between zone is where I’m finding the WRX to perform best. It’s been a great fall jacket for days where its chilly but will warm up. It features quite a few vents for temperature control, and being light, simply unzipping it does quite a bit when you’re looking to cool down. It also happens to match the color of my DH bike, making me rather pleased with the color combo.